I had a pint of T.W. Pitchers' Radler back in May at Beer 39 and I was definitely impressed. 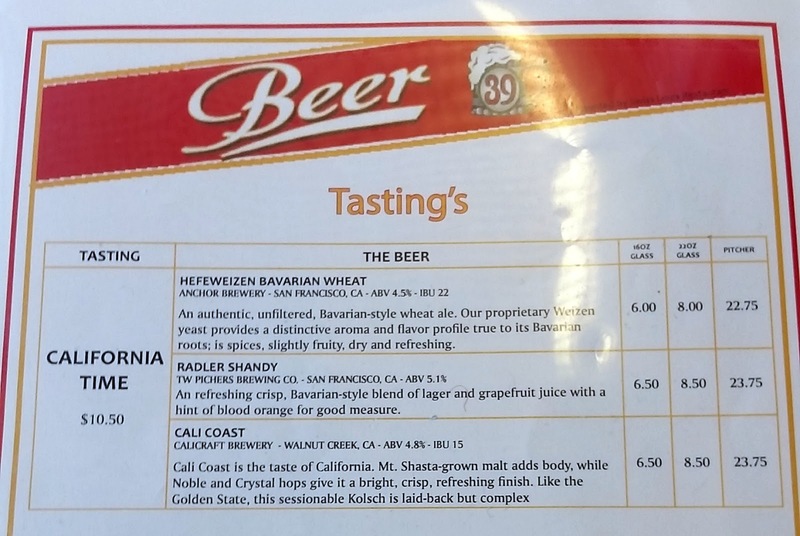 The "California Time" beers at Beer 39: Anchor Hefeweizen Bavarian Wheat, TW Pitchers' Radler Shandy, and Calicraft Cali Coast. In general, it's sweeter than the average beer, in great part because it's a radler/shandy - a mix of a juice with beer. Of course, don't understimate it, because it's still 5.1% ABV (alcohol by volume). Overall, I would give it 4.5 out of 5 stars. Want more of my thoughts and/or comments on the beer? Check them out over at beer.supertran.net.